I have been a queasy fan of yours for a good while now. I would be enormously pleased if something of mine got into Help. Would the idea of shelter-hopping kits interest you? Families too big or too lazy or too poor to build adequate fallout shelters could buy from our company quite cheap kits guaranteed to open any shelter yet recommended by Civil Defense. The cheapest kit, selling for $14.95, say, would consist of a World War Two surplus cylinder of Cyklon B, guaranteed by I.G. Farben, and a shaped charge for blowing the lock on any shelter door. More luxurious kits might include C.D. uniforms, all-clear signals; tape recordings of beloved family pets scratching to be let in, tape recordings of old A.B.C. speeches on the harmlessness of fallout; grenades, bazookas, flamethrowers, etc. We recommend that no informed person go anywhere without the basic kit, since the necessity of getting into a shelter is likely to arise at any time. We therefore package the kits to look like attache cases, lunchpails, hatboxes, shopping bags, copies of Dr. Zhivago, etc. As a rule of thumb, we recommend that, for minimum safety during nuclear war, each person be equipped to take over three shelters. We say this, because there are bound to be disappointments—meagerly equipped shelters, shelters furnished in bad taste, septic tanks mistaken for shelters, etc. One town figured the appalling cost of building community shelters, decided instead to buy enough kits to take over the shelters of an adjoining town, thereby saving enough money to send the high school band to the next Orange Bowl game. With every order goes a subscription to our news letter, which tells who is building shelters where, what they are putting into them, and how the owners intend to defend them. Etc. More details on request. 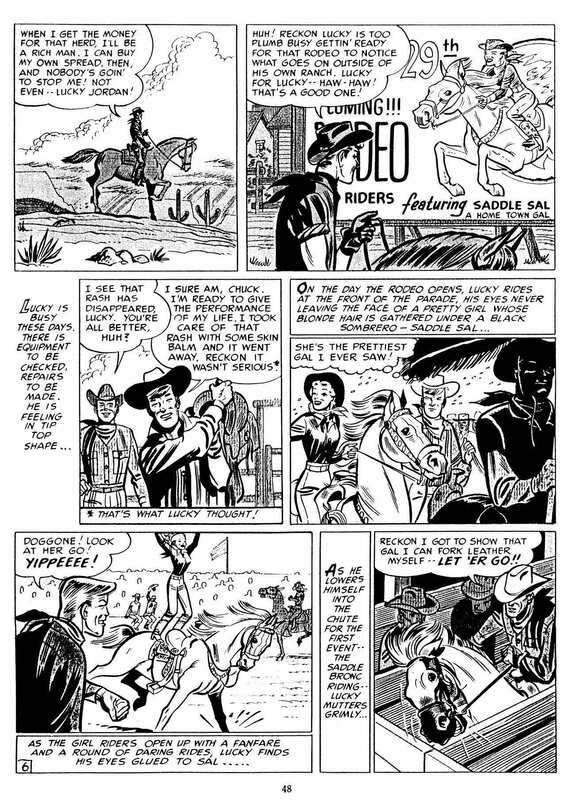 Sad news today that the great cartoonist and illustrator, John Severin, died on Sunday 12 February 2012 at the age of 90, thereby leaving only Al Feldstein and Jack Davis as the last men standing from the legendary “EC Comics” stable of editors and artists. 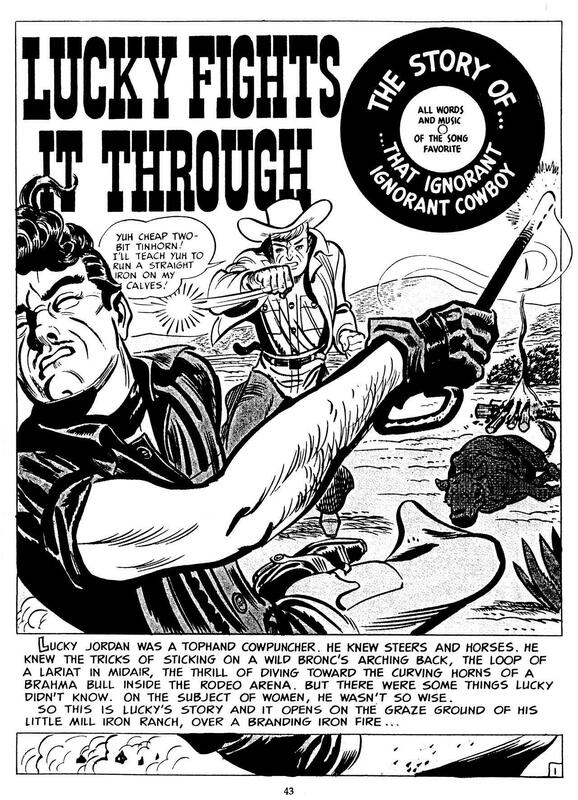 Although he worked as a penciller, inker, or penciller/inker, in nearly every genre comics has to offer, Severin was probably best known and most admired for his award-winning contributions to humour, western, and war comics. 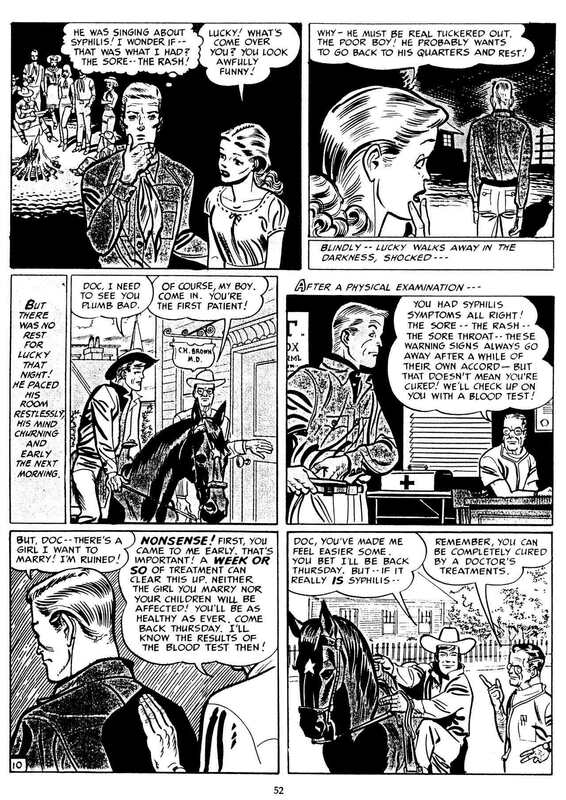 And while you’re here at RCN, fans of Severin will certainly want to visit — or revisit, as the case may be — this post from 2011 that includes “An Interview with John Severin” that was published in 1973, along with the story “Tower Tamer” from Thrilling Adventure Stories #2 (August 1975). Internationally acclaimed illustrator-­cartoonist, John Powers Severin (1921 – 2012), passed away Sunday, February 12, 2012 at his home in Denver, Colorado with his family by his side. 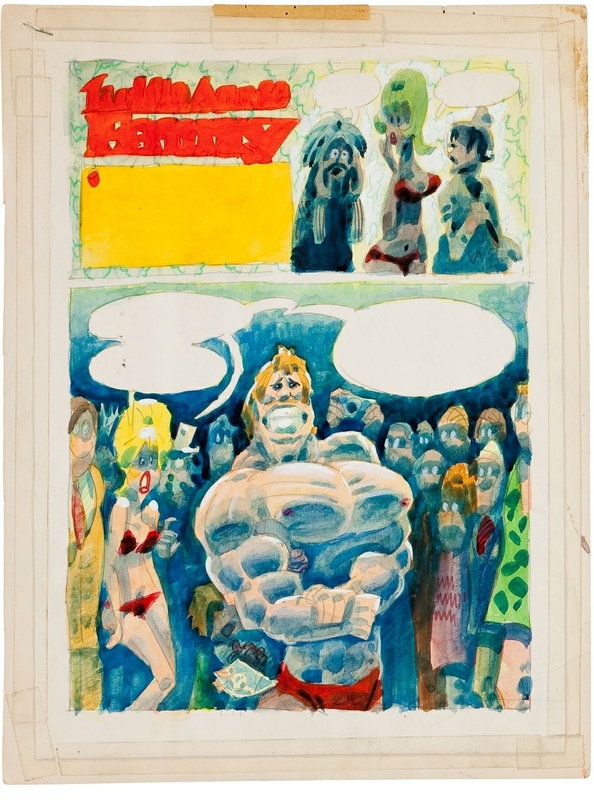 Throughout his sixty plus year career in comic illustration and cartooning, Severin gained world-­wide notoriety and is regarded by many fans, friends, historians, and colleagues as a truly distinctive and brilliant artist. “He had an art style that was uniquely and distinctly his own. 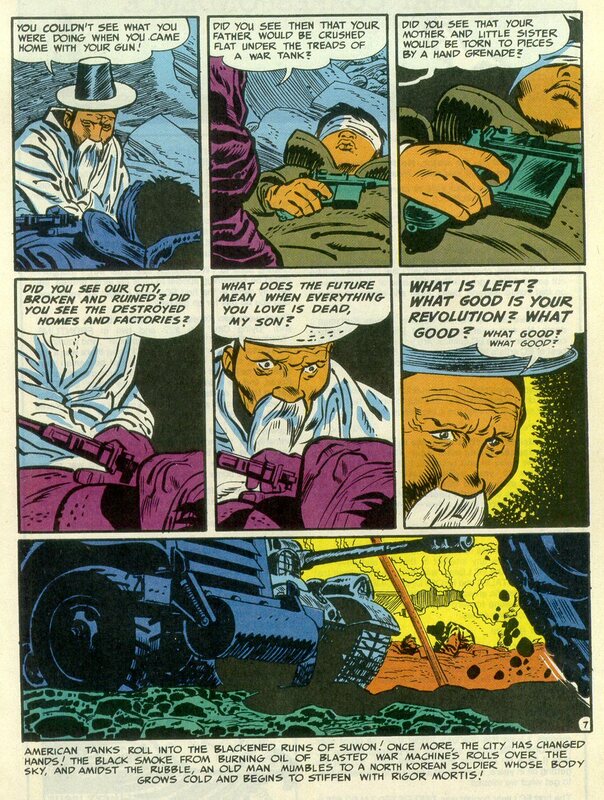 The minute you looked at his artwork you knew you were looking at a John Severin illustration; it could be no one else. 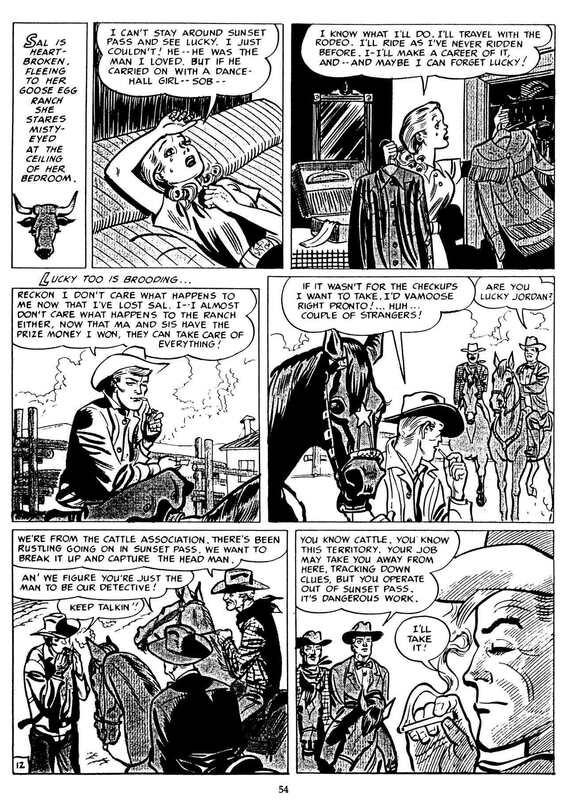 Besides his inimitable style, there was a feeling of total authenticity to whatever he drew, whether it was a Western, a crime story, a superhero saga or a science fiction yarn. 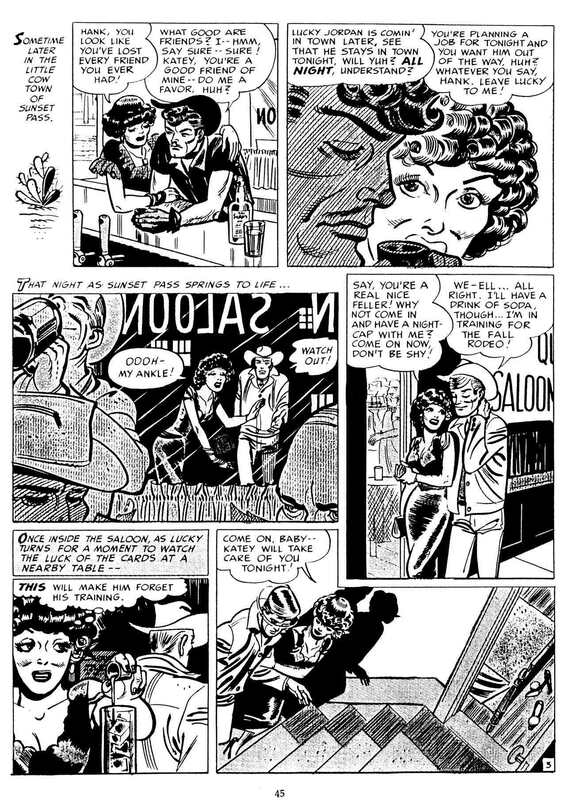 Not only was his penciling the very finest, but his inking, too, had a distinctive Severin touch that made every strip he rendered stand out like a winner”. Severin’s professional career was launched early in high school when he contributed cartoons for the Hobo News. 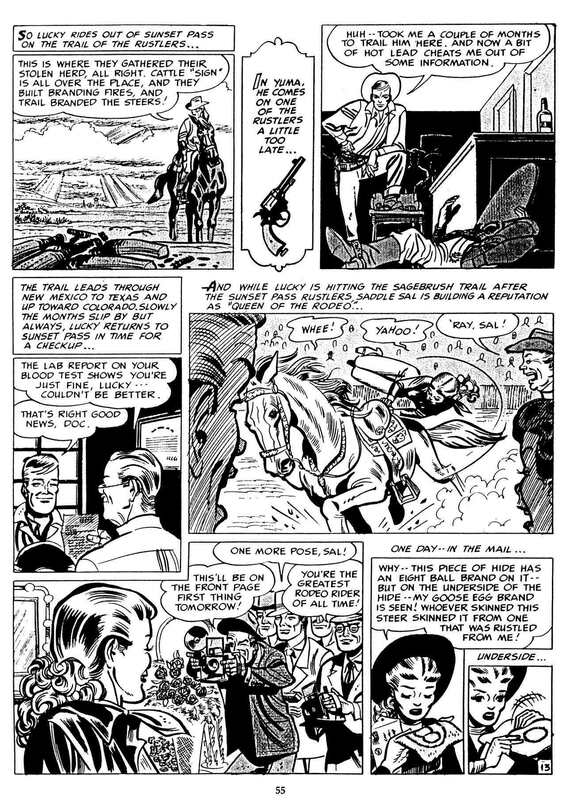 Early in his career, his works were also published by Jack Kirby at Crestwood Publications’ Prize Comics. 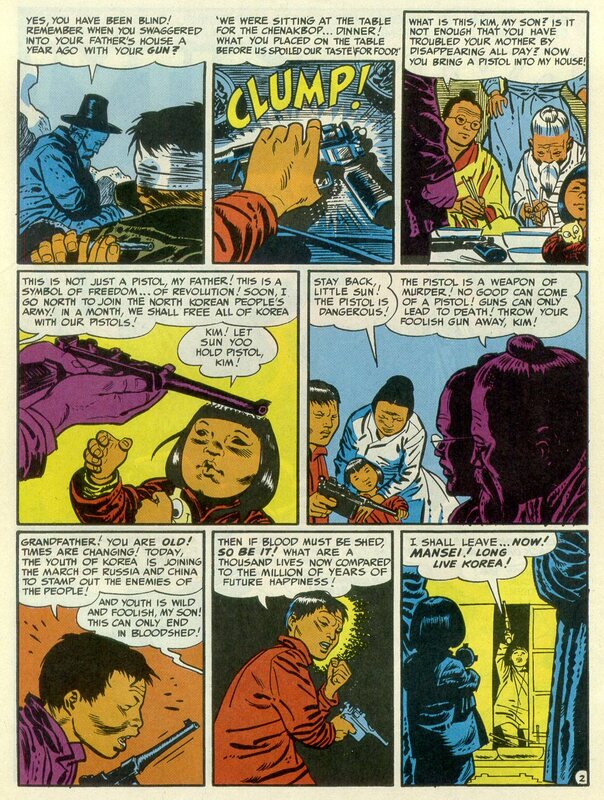 He co-created the long-running Native American feature American Eagle and continued drawing stories for Prize Comics through 1955. Called an “artist’s artist”, Severin gained a reputation for his historical knowledge and detail in all genres, most notably war and western. Sharing a Manhattan studio with fellow classmates Harvey Kurtzman and Bill Elder from New York’s famed High School of Music and Art; Severin began drawing for EC Comics. 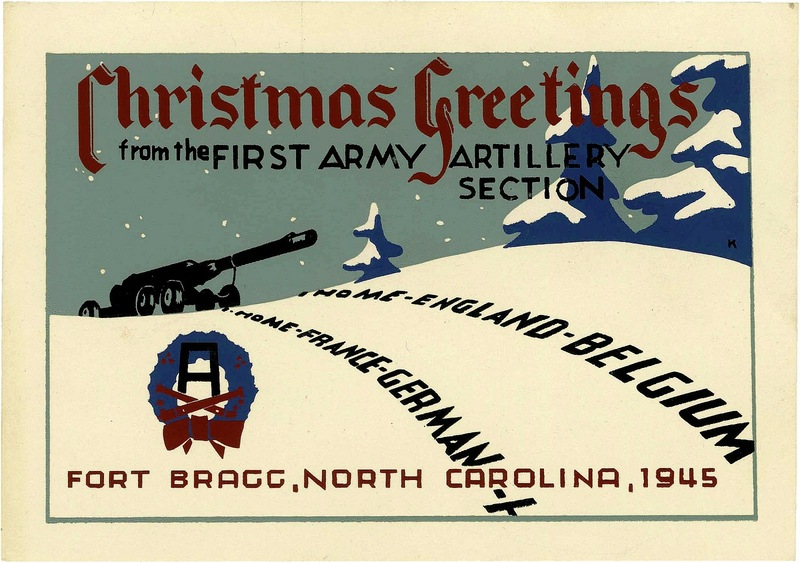 His illustrations graced the covers and inside pages of several EC comic series’ including Two-fisted Tales and Frontline Combat. 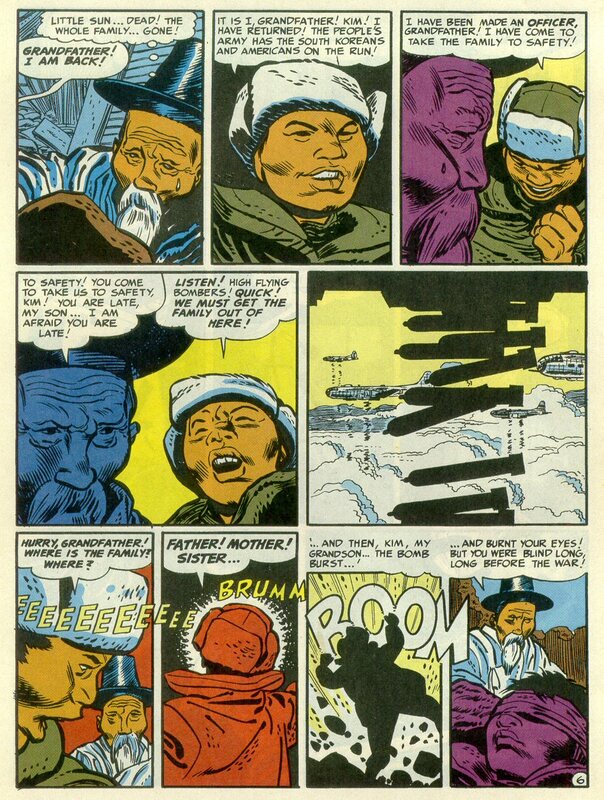 It was also during this time Severin’s colleagues, Harvey Kurtzman and William Gaines co-created MAD Magazine. Severin was one of the five original artists who played a part in launching the infamous magazine, illustrating features for MAD Magazine between 1952 and 1954. Upon leaving EC Comics, Severin was sought after to help launch CRACKED Magazine, a new publication that would become the prime competitor to MAD Magazine. Severin, using the pseudonyms “Nireves”, “Le Poer”, and “Noel”, was the lead artist for CRACKED Magazine for an unprecedented 45 years. Following the cancellation of EC’s comic book line in the mid-1950’s, Severin began working for Atlas Comics, the company that would eventually become Marvel Comics. 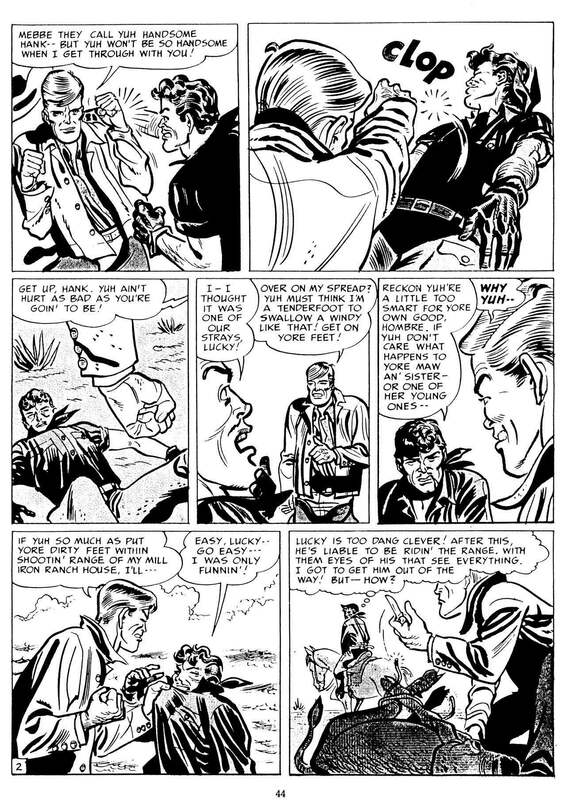 After the transition to Marvel Comics, Severin contributed his illustrations to several popular titles including the Incredible Hulk, The Nam, Kull the Conqueror, Captain Savage, What The? !, and Semper Fi. 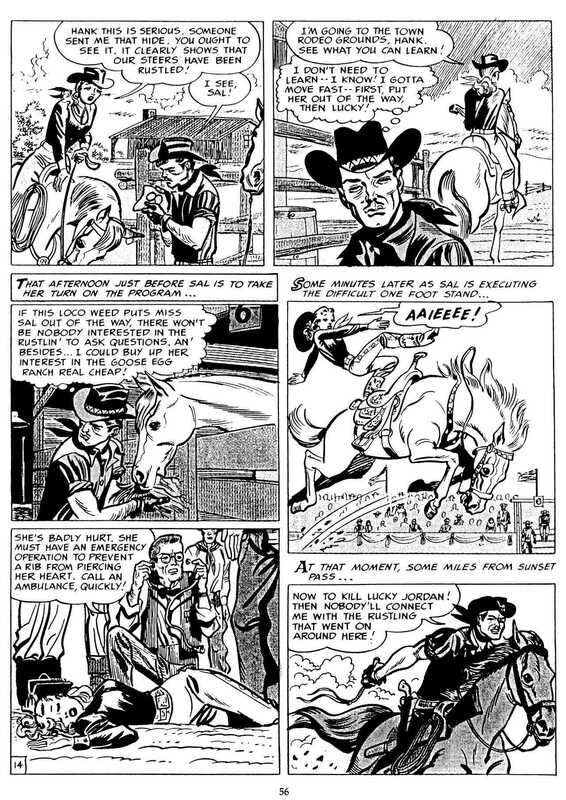 In 2003, Severin revived an outlaw character he created fifty years prior, for Marvel’s controversial Rawhide Kid in the groundbreaking edition Slap Leather. Also in the 2000’s, Severin contributed to Marvel’s The Punisher; DC Comics’ Suicide Squad, American Century, Caper, and Bat Lash; and Dark Horse Comics’ Conan, B.P.R.D. and Witchfinder. Severin’s final illustrations were for Marvel’s Witchfinder Lost and Gone Forever, published in early 2012. “One of my greatest regrets, as an editor, was the fact that John was so busy doing other things that I couldn’t give him as many assignments as I would have wished. If it were up to me, I’d have kept him busy drawing for Marvel seven days a week, fifty-two weeks a year,” states Lee. John Powers Severin was born in Jersey City, New Jersey. After attending the High School of Music and Art he enlisted in the United States Army where he served in the Pacific Theater during World War II. He moved to Denver, Colorado in 1970. As a freelance comic illustrator and cartoonist, thousands of Severin’s illustrations have been published and admired by fans worldwide. 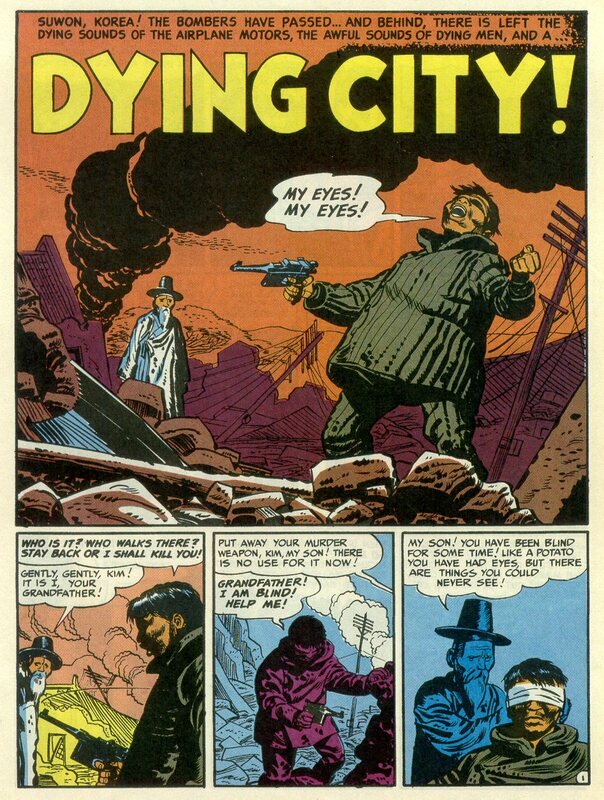 John Severin is survived by his wife of 60 years, Michelina, 6 children, 13 grandchildren, 8 great grandchildren, a step great granddaughter and Severin’s sister, Marie Severin, who is also a comic illustrator and cartoonist. 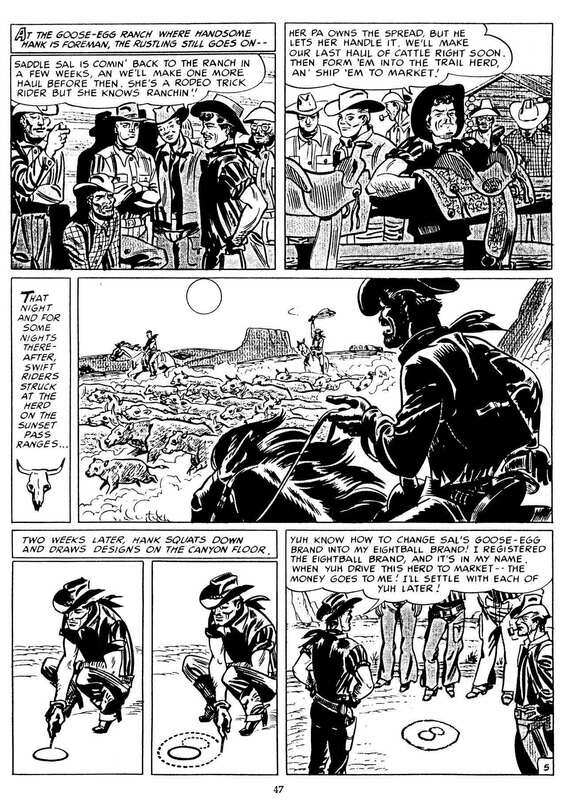 My sincere condolences to John Severin’s family and friends. 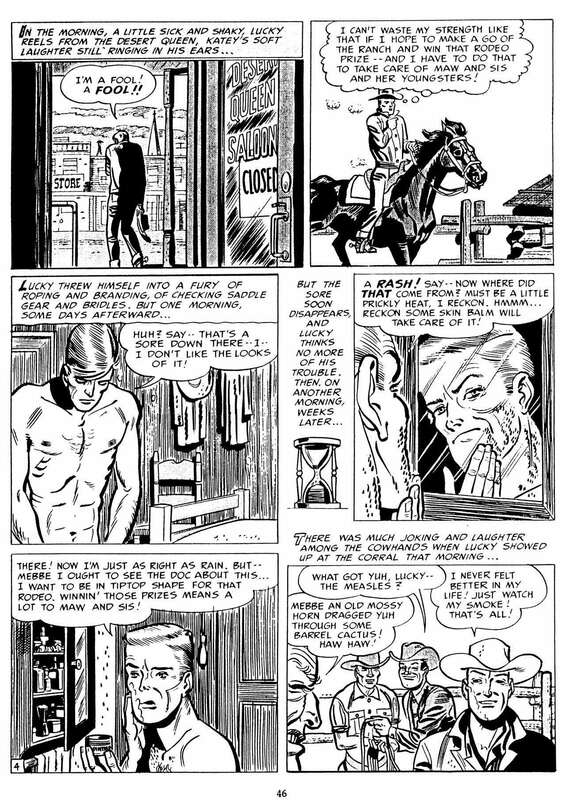 It’s a little known bit of historical comics trivia that Harvey Kurtzman’s first work for EC appeared in a commercial giveaway comic intended to educate readers on the symptoms and treatment of syphilis. 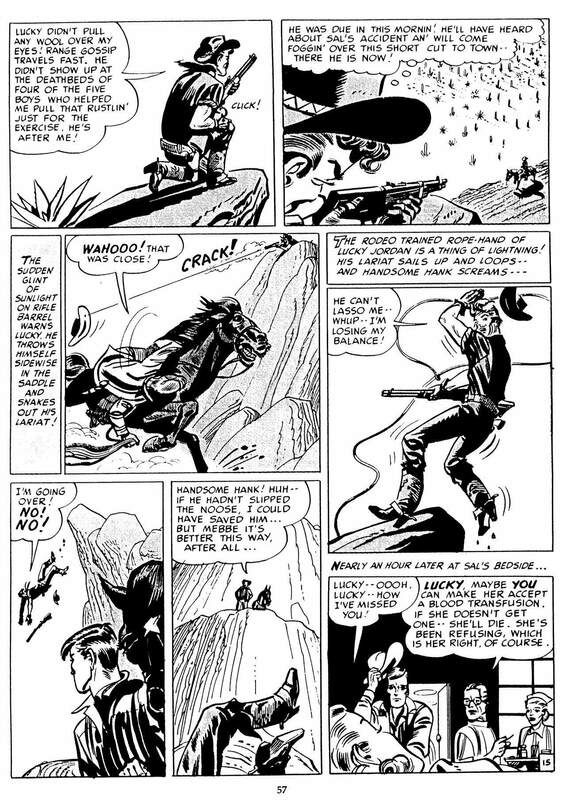 Set in the old West, Lucky Fights It Through reveals a talented young artist — Kurtzman was about 25 at the time — who was already in full command of the bold, energetic, appealing style that would carry him through the rest of his career in comics — although the influence of Milton Caniff, so obvious here, would quickly fade — and it is entirely due to Kurtzman’s artistry and irreverence that, unlike most “educational comics,” Lucky has remained a compelling read for anyone who appreciates great performances in comics no matter what the venue or occasion; so compelling, in fact, that the story was not only reprinted, in its entirety, in colour in the EC fanzine Squa Tront #7 in 1977, but also appeared in glorious black and white in the 112-page “trade paperback” comics reprint collection Teen-Aged Dope Slaves and Reform School Girls in 1989, some forty years after its original publication in 1949. If you’re curious to read the comic for yourself, the blog Hairy Green Eyeball II has had the colour reprint available for your viewing/reading pleasure since 25 August 2008, and as of today, RCN has the black-and-white reprint, posted below. Enjoy! Two big news stories were unleashed yesterday via the Fantagraphics FLOG! Blog! by Harvey Kurtzman. This will reprint all the war stories Kurtzman wrote and drew himself in Two-Fisted Tales and Frontline Combat, including all 23 of his covers — each a masterpiece in its own right. This volume will also include all the war stories that Kurtzman wrote and laid out but were drawn by artists who weren’t regularly featured in his war books: Gene Colan, Joe Kubert, Alex Toth, Dave Berg, Ric Estrada, Russ Heath, and others. 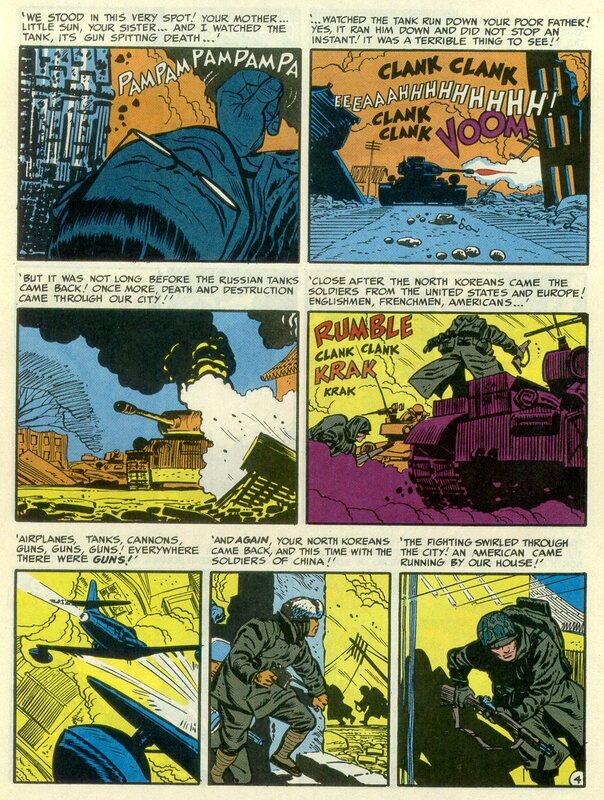 (The regulars were Jack Davis, John Severin, Wally Wood, and George Evans, each of whom will later be the subject of their own war comics collections). 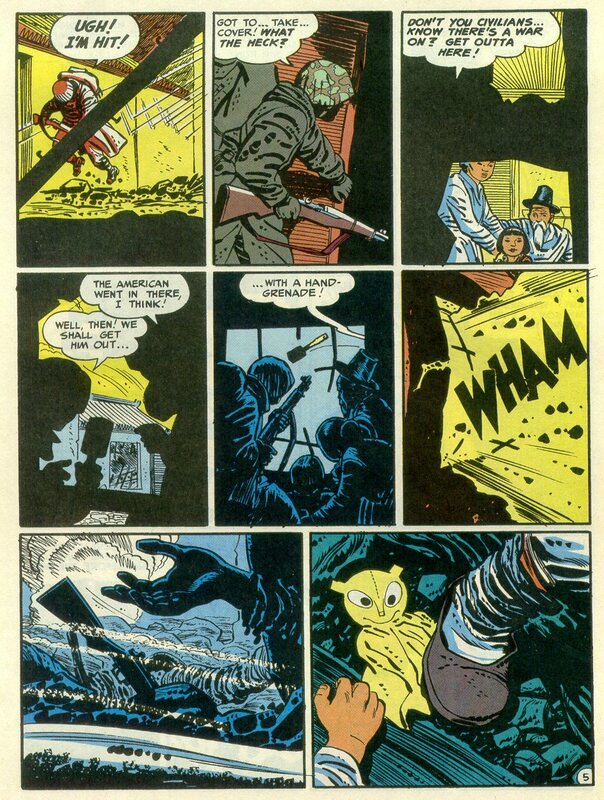 Kurtzman’s war comics are still considered to be the gold standard for the genre, with a devotion not only to historical accuracy but also to resisting any impulse to glamorize wartime; a WWII veteran himself, Kurtzman’s humanistic approach was in stark contrast to the simp- leminded, jingoistic efforts of EC’s rival publishers, and paved the way for other popular media to depict the true face of war. 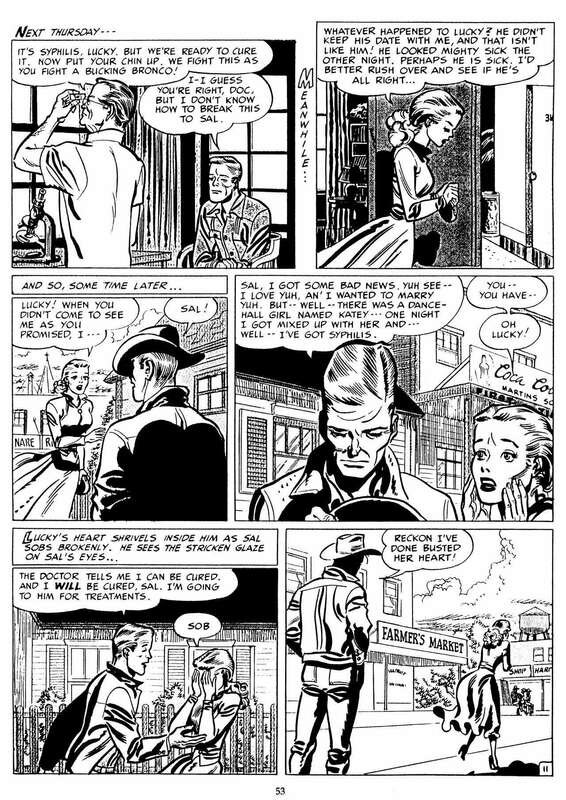 “Came the Dawn” and Other Stories by Wally Wood: Though often remembered for his science-fiction work, Wood’s heavy, noirish brushstrokes were perfectly suited for EC’s rough-hewn suspense stories in (the appropriately titled) Shock SuspenStories and this volume will collect them all for the first time. Jack Davis’s horror stories (exact title t.b.a. 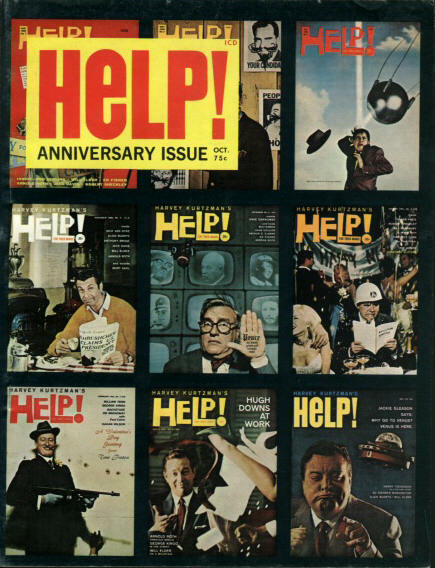 ): Jack Davis’s gift for caricature has made him an icon in the advertising world and helped define MAD magazine, but he was also one of the most versatile cartoonists of his generation; after “Ghastly” Graham Ingels, Davis was EC’s most prolific horror artist, appearing in all three of EC’s horror titles — Haunt of Fear, Vault of Horror, and Crypt of Terror. 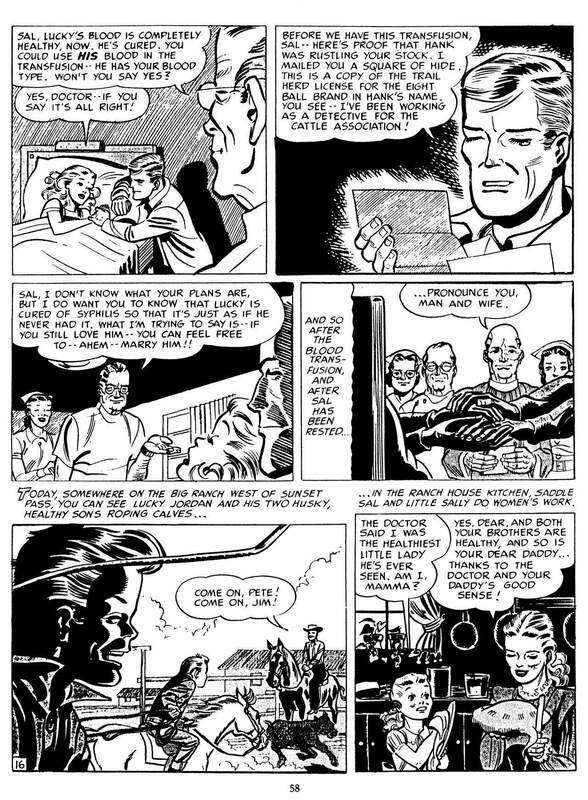 This will collect the entirety of Davis’s horror work, all of which was written by Al Feldstein. 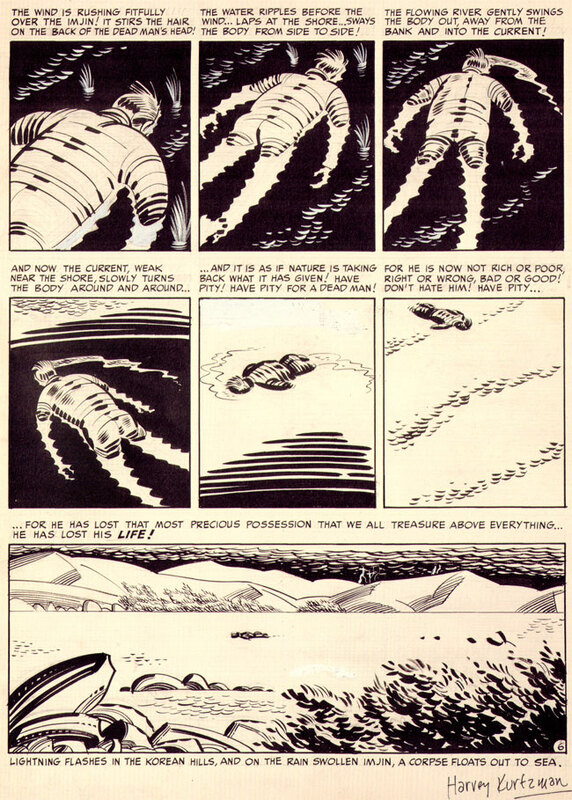 Al Williamson’s science-fiction stories (exact title t.b.a. 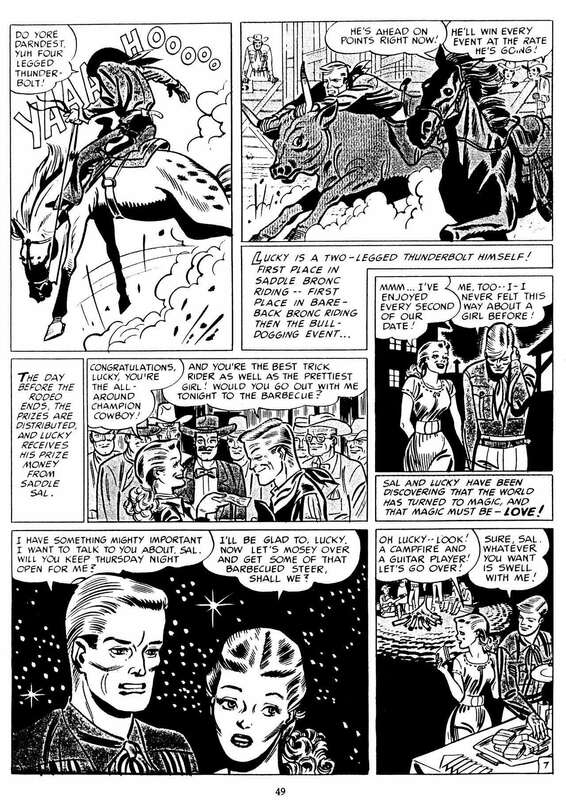 ): EC published two SF comics — Weird Fantasy and Weird Science — and Williamson was one of the stars, with an illustrative style that carried on the tradition of the great adventure comic strips like Alex Raymond’s Flash Gordon. This volume will compile all 174 pages of Williamson’s SF stories. The Complete ZAP Comix will be published as a two-volume, slipcased hardcover set, printed slightly larger than the original comics, and shot from the original negatives to the comic books, ensuring the finest reproduction ever seen of the material. 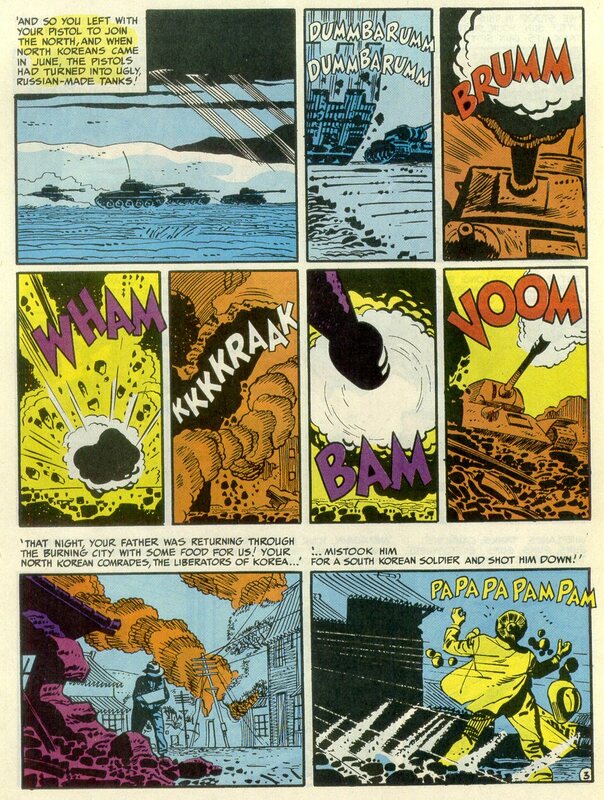 It will also include the rarely-seen ZAM, a one-shot mini-comic/jam spinoff of ZAP from 1974, as well as other supplementary features, interviews with the artists, and other surprises. 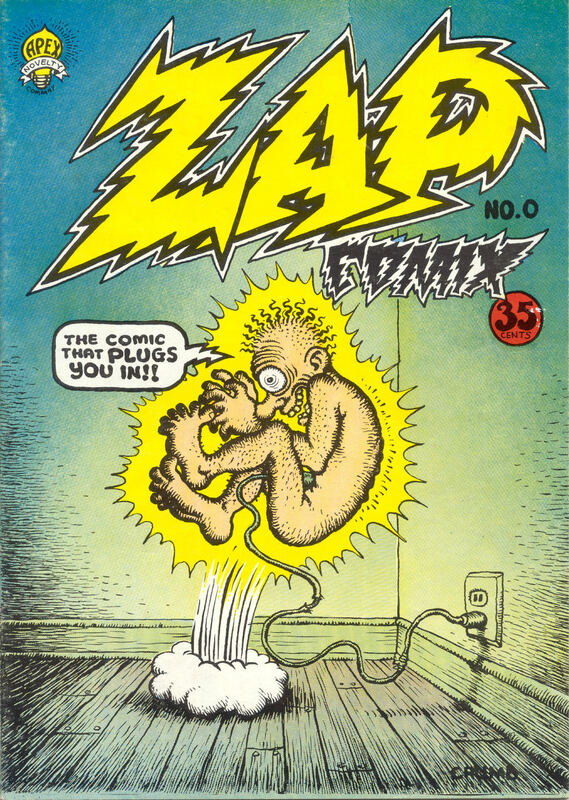 Fantagraphics will be publishing The Complete ZAP Comix in Fall of 2012. 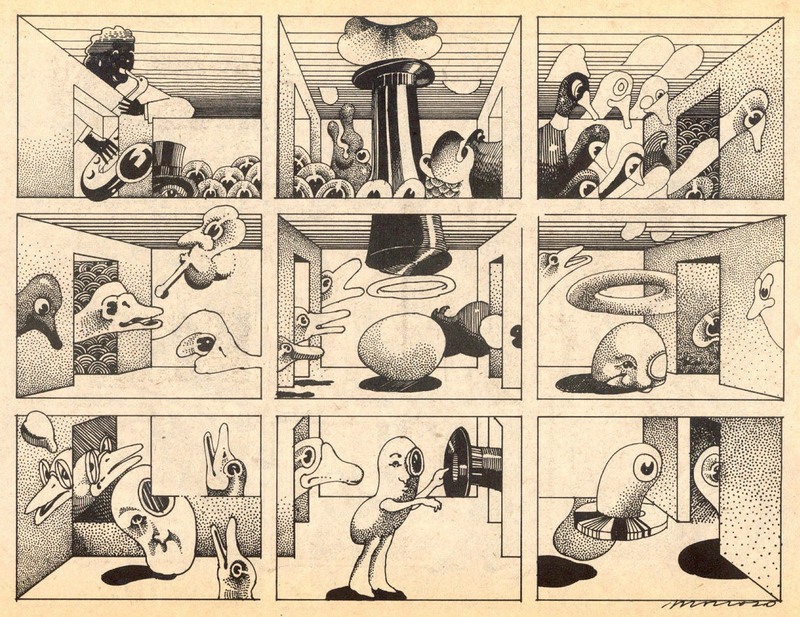 According to Reynolds, The Complete ZAP Comix collection will be designed by Victor Moscoso. 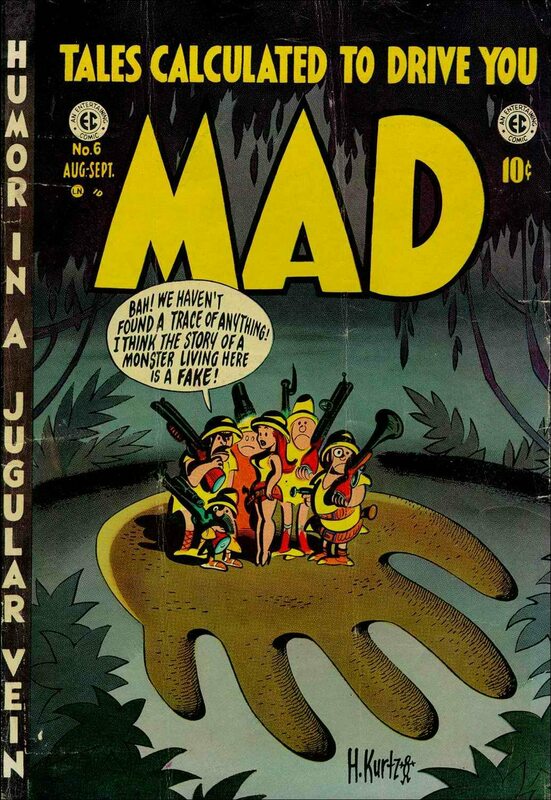 ABOVE: Mad #6 (August-September 1953), with cover art by Harvey Kurtzman. 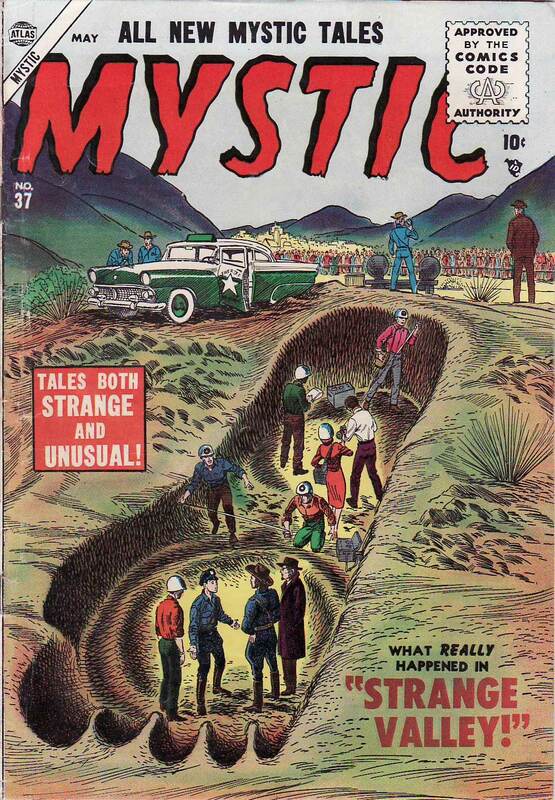 ABOVE: Mystic #37 (May 1955), with cover art by Carl Burgos. Notice the dates of the two comics. 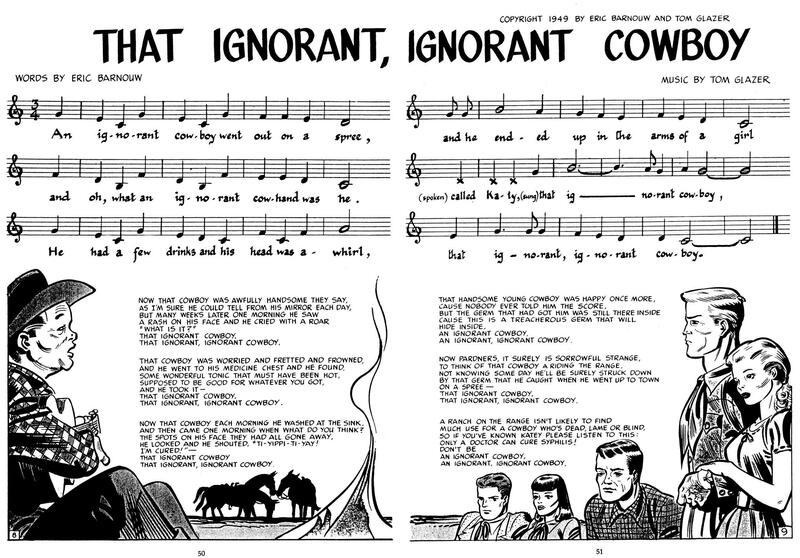 Kurtzman’s parody was first.